Just imagine holding these cards in your hands…they are lovingly handmade! 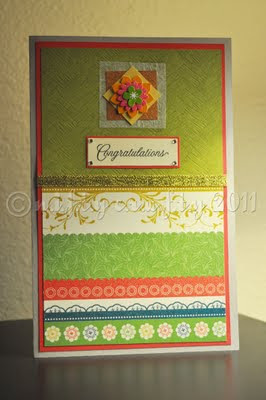 These cards can be used to congratulate your loved ones for a new home, engagement or any special occasions. Definitely, a lovely way to appreciate someone! 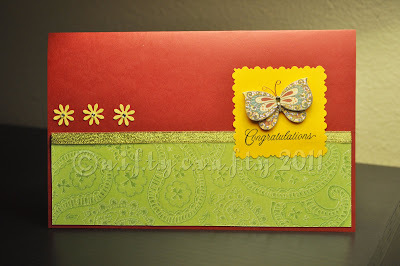 This card was made with a rich red base and glittery pale green patterned paper bordered with a gold ribbon. A grand saffron butterfly was slightly raised to give a deep impression and dimension to the card. The word "Congratulations" has been stamped on a contrasting yellow square scalloped piece of card and three little flowers were nicely placed above the golden border as a final touch to the card. This floral congratulation card is layered with three different papers and a capturing floral embellishment has been used to add a pinch of beauty to the overall look of the card. 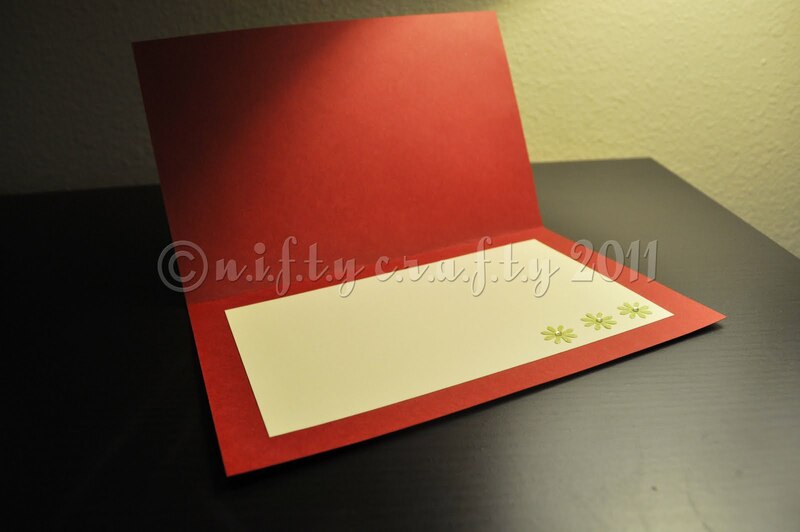 The card is layered with a green embossed paper and a coordinating floral cardstock. 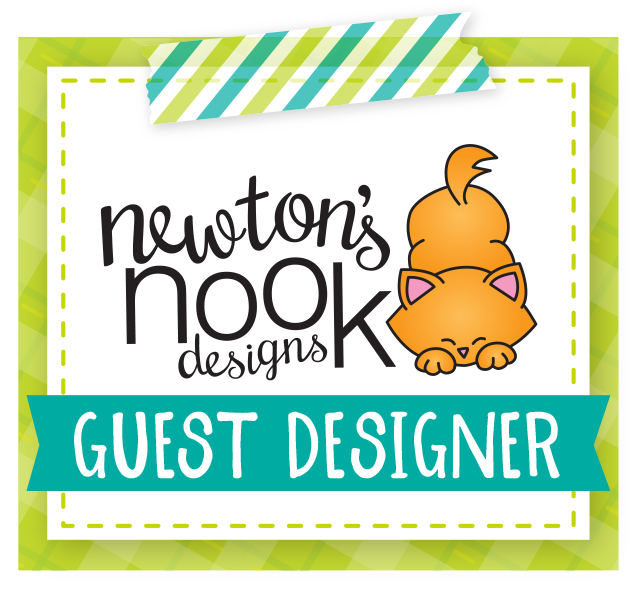 A solid pink card is used to give a sweet outline to the design. The "Congratulations" word is decorated with tiny crystal gemstones. Each card comes with an envelope and its blank inside for you to personalize. Please drop me an email if you are interested in purchasing these card(s). Excellent choice of colors! Looks very rich! Like the Caligraphy and the rich pattern!